SpreadsheetGear 2017 adds a new SpreadsheetGear for .NET Standard product, official support for Excel 2013, Excel 2016, Excel 2019 (V8.2) and Excel for Office 365 (V8.2), 51 new Excel functions, full conditional formatting support, enhanced workbook protection and encryption, cell gradient rendering and more. Our latest hotfix (8.2.14.102) was released on Apr 18, 2019. Learn more about this build on the What's New page or download it from the Licensed Users Downloads page. Add powerful viewing, editing, formatting, calculating, charting and printing capabilities to your Windows Forms, WPF and Silverlight applications with WorkbookView and FormulaBar controls. WinForms and WPF applications can also utilize the Workbook Explorer, Range Explorer, Chart Explorer and Shape Explorer dialogs. 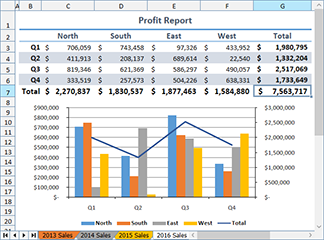 Easily create richly-formatted Excel reports without Excel. Create great looking dashboards from Excel charts and ranges. Ditch rigid code-based models and use Excel workbooks instead. Evaluate complex Excel based models and business rules with the fastest and most complete Excel compatible calculation engine available with 449 Excel compatible functions, multithreaded calculations, array formula support and more. 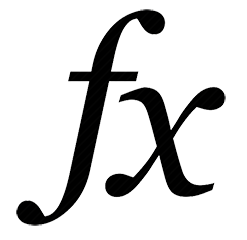 See a full list of supported functions here.